Don Led Duke’s mission to be involved with the community and serve as a home base for local sports fans and family continues to live on. Each year, we host hundred of locals athletes from surrounding schools to celebrate championship teams and individuals who are making their mark in both high school and collegiate sports. For the last five years, RSG has teamed up with Blessings in a Backpack, a charity that provides food on the weekends for elementary school children across America who might otherwise go hungry, for the “Hall of Fame” Golf Outing held in Troy, New York. The outing is attended by partners of the restaurants, managers and staff, as well as local patrons of the Grills. 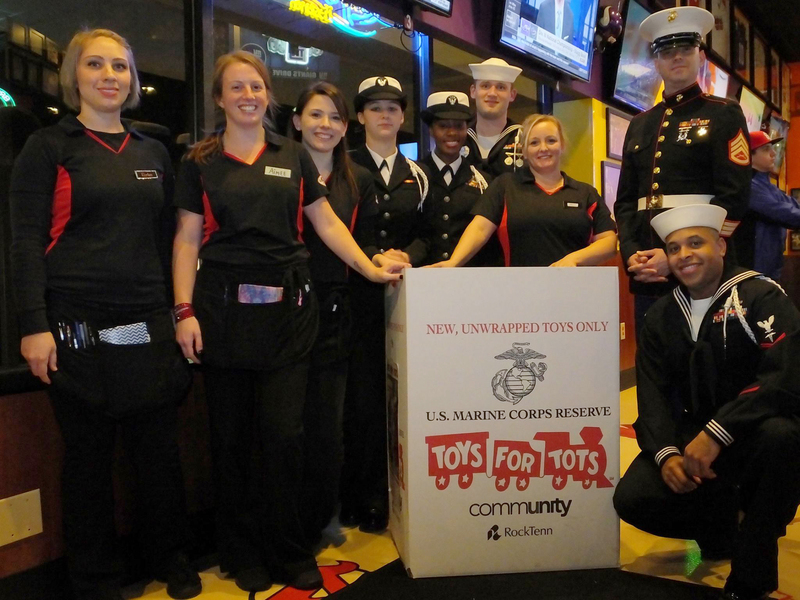 Tips for Tots is an event hosted by Recovery Sports Grill each holiday season where managers and staff from various RSG locations and BBL Hospitality team members get behind the bar and donate all tips collected during the night to the Marine Corps’ Toys for Tots Foundation. The RSG team is very involved with the Special Olympics Fall State Games held in Glens Falls, New York each year, acting as both a sponsor of the event and as volunteers. Each fall, the city of Glens Falls hosts nearly 1,000 athletes and coaches from across the state who participate in seven Olympic-style sporting events.